ART OFF the MAIN is a trend- setting art fair launched in 2004. 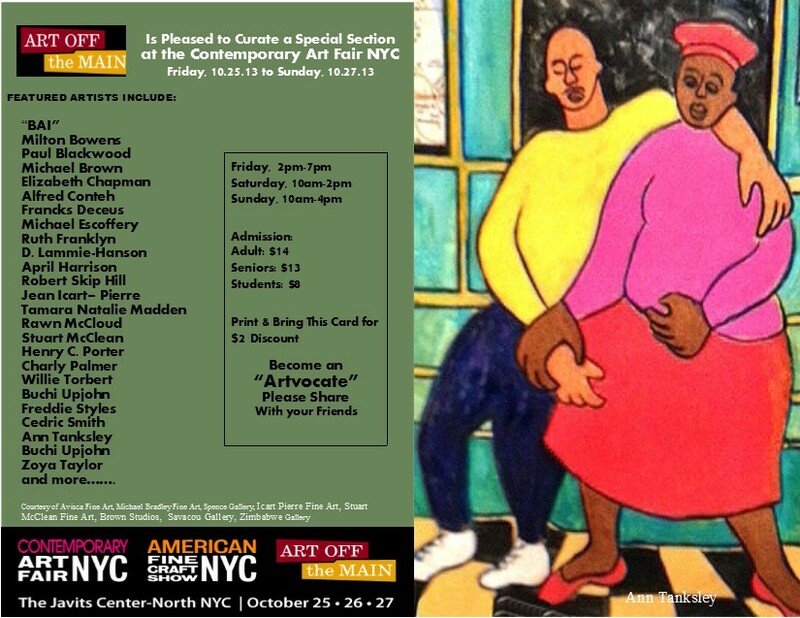 The name of the fair, ART OFF the MAIN speaks to the fact that many of the artists showcased, in spite of highly accomplished works, are for the most part either under-represented or absent from the American mainstream. ART OFF the MAIN is defined by both geography and culture. It is the first art fair ever to showcase the combined works from Africa, the Caribbean, Black and Latin America- regions which share many historical, ethnic and political experiences resulting in cultural expressions with common elements. ART OFF the MAIN widens the exposure of both emerging and contemporary art from these regions by providing an accessible venue where galleries, arts organizations and artists can showcase their collections. ART OFF the MAIN provides curators, critics and collectors an opportunity to view and collect some of the most exciting works being produced today, art which ranges from the intuitive to the modern, the traditional to the experimental, the realist to the surrealist, the political to the religious.